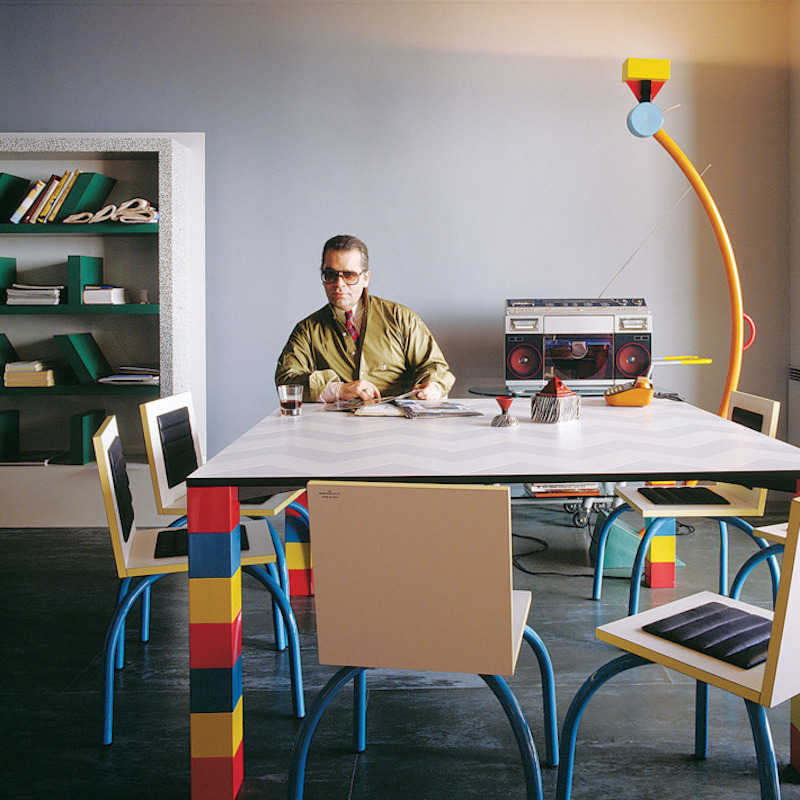 In 1981, the brilliant Ettore Sottsass founded the Memphis Group in Milan, an experience that quickly came to dictate the aesthetic rules of an entire decade. Now, in 2018, the eclectic, colorful and kitschy furniture has come back in style. Milan in winter is always grey, cold and foggy – and this was certainly the case the December evening of 1980 when Ettore Sottsass met with the designers Lucchi, Cibic, Thun, Zanini and Bedin. Here, the aim of the meeting was well beyond a simple dinner with friends: the designers wanted to create a movement to rebel against the status quo of modernist design. This meant overtaking the minimalism, functionality and sobriety of modernism with a bold design, made of the bright colors of Pop Art, extravagant forms of Art Deco and kitsch from the 1950s. The chatter of one of these evenings was accompanied by Stuck Inside of Mobile with the Memphis Blues, the famous song by Bob Dylan. 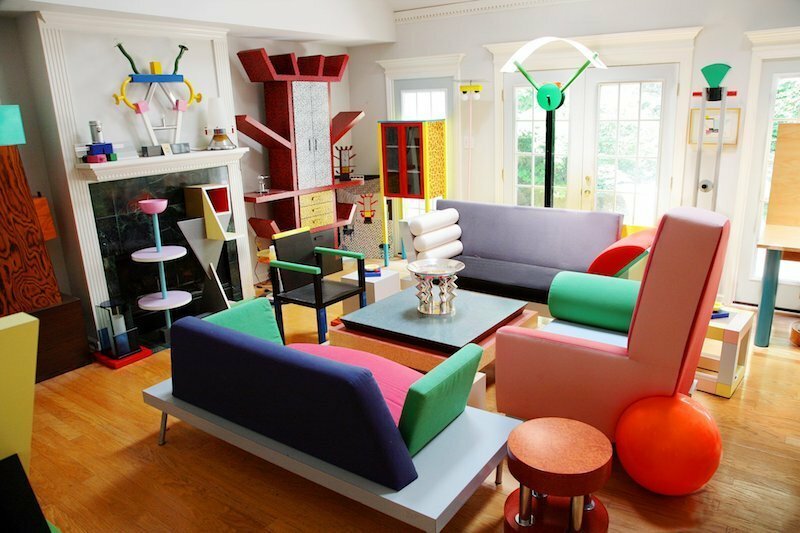 When it came time to find a name for the collective, Sottsass proposed ‘Memphis’ – the city of Tennessee and the birthplace of musicians such as BB King, Johnny Cash and Elvis Presley, as well as the capital of Ancient Egypt which took its name from the god protector of the craftsmen and architects. To the surprise of its founders, Memphis was enthusiastically welcomed by designers from all over the world, so much so that many of the 40 designers who collaborated in the collection presented at Milan’s Salone del Mobile in 1981 were foreigners: Nathalie du Pasquier from France, Michael Graves from the United States, Hans Hollein from Germany, Shiro Kuramata from Japan. It was a clear sign that this aesthetic was not relegated just to Italy. The success of Memphis was major, as Alberto Bianchi Albrici, owner of the Memphis Studio since the mid-1990s, said, "Memphis broke everything". In fact, the inauguration of the event on the occasion of the Salone del Mobile garnered enormous acclaim, to such an extent that "when we arrived, there was incredible traffic", recalled Martine Bedin in an interview, "and Ettore thought it was a terrorist attack. Shortly thereafter, we discovered that they were all there for us." The 56 pieces of the first collection (made up of lamps, fabrics and furniture) were colorful, exaggerated and almost kitschy. Revolting against all the laws of modernist design led by Mies van der Rohe, the designers had created one of the first examples of Postmodernism: functionality passed into the background at the expense of visual exaggeration and materials were poor (such as plastic laminate and Venetian terrazzo). And a tongue-in-cheek nod to classic elegance and modernity, the pieces took their name from the most famous luxury hotels in the world: the Carlton bookcase, the Casablanca cabinet and the Plaza table. Many famous people also fell in love with the furniture of the collective. 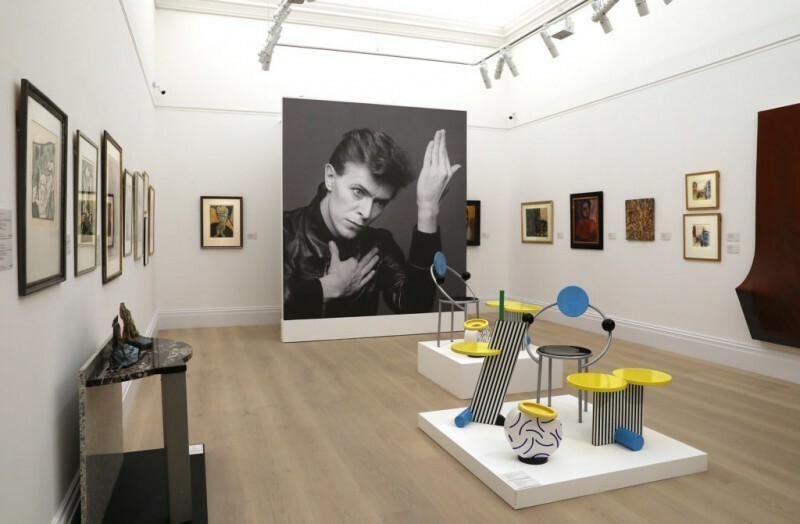 Among the most enthusiastic was David Bowie and Karl Lagerfeld, both of whose collections of Memphis were auctioned by Sotheby's in 2016 and 1991 respectively. Although Memphis designs were very successful, the furnishings did something much more extraordinary than simply make money: they modeled and helped define the aesthetics of the '80s. The explosive popularity of Memphis has all the typical ingredients of the aesthetics of the 1980s decade: bright colors, bizarre patterns, geometric shapes and kitsch. The first MTV logos and scenes of Back to the Future are just two examples of the infiltration of the group's style into popular culture. Despite its short life, the influence of the group has never completely exhausted itself. 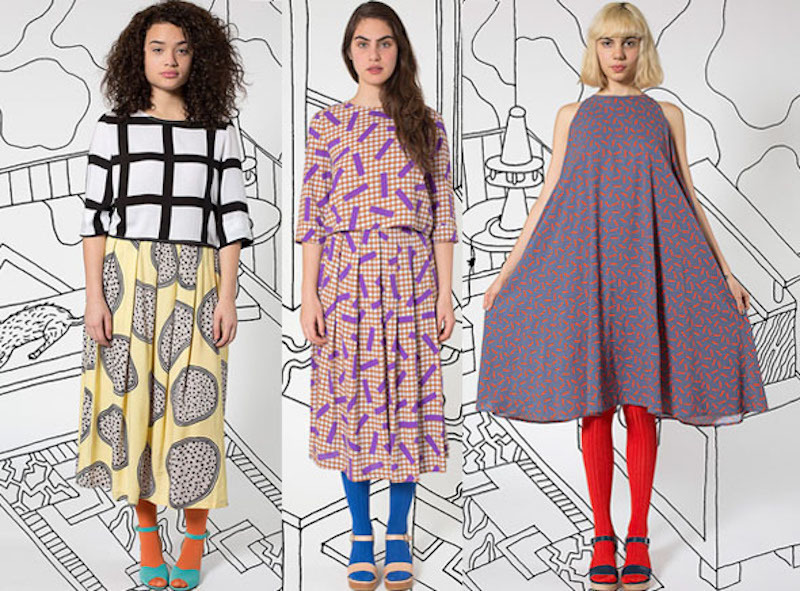 Excluding the ‘90s, the interest in Memphis has always been rather high (the spring / summer 2005 collection of Miu Miu used the patterns of Nathalie du Pasquier, for example). 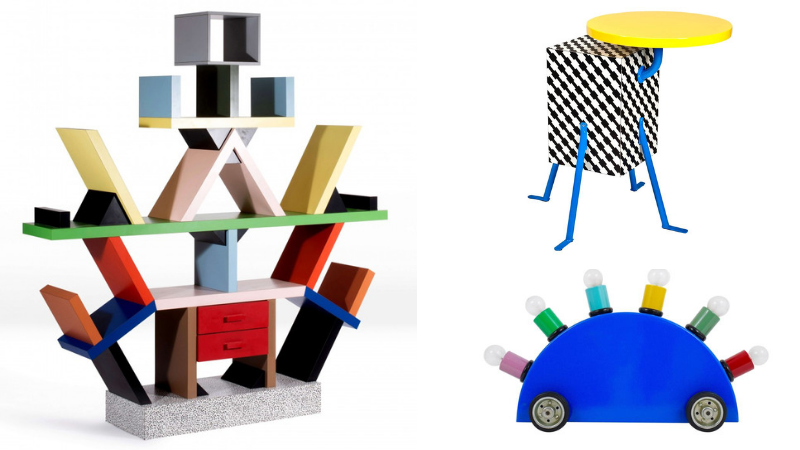 It is only in recent years that the Memphis Group has returned to the spotlight, thanks to the increasing interest in Italian design and the reevaluation of the '80s. 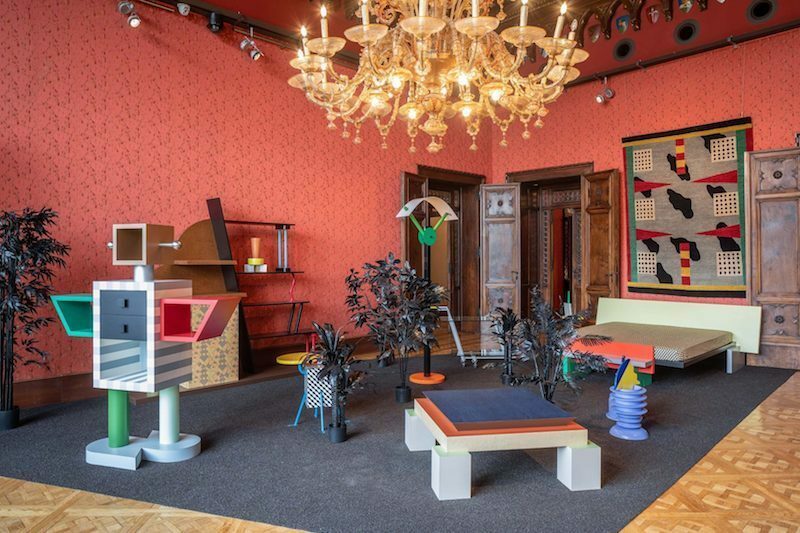 This interest is reflected in the secondary market, where Gio Ponti's records are flanked by those of Sottsass and company (with dedicated sales, such as the recent ‘Sottsass Repertorio’ at Artcurial). As maximalism begins to strike back in present day, the colorful and patterned revolution of Memphis and its 1980s aesthetic is here to stay.